Have you ever sat down at your computer, ready to write a killer blog post, and then….. nothing happens? That doesn’t just happen to me? Oh, good. I hate that feeling of a mental block when it seems I have nothing good to say at all. Nothing interesting. Nothing hilarious. Just nothing at all. And to make it worse, I don’t even have any back-up posts ready and waiting in the wings. Bummer. 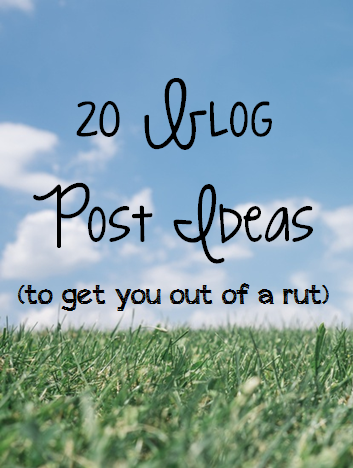 Share your blogroll- what blogs do you read most often? A day in your life- show us what you do! Hopefully these will give you a little bit of inspiration and maybe give you an idea or two of something new to write about. I plan on doing a few more of these over the next couple of months- so get ready, more ideas will be coming your way later! Thanks! I know, I’m really excited to do one of those.. I’ll just have to make sure it’s a fun day to document! The pineapple! Haha. 🙂 Awesome post though- definitely gave me some food for thought. Right?!? It was just such a random picture, I couldn’t pass it up!!! Great minds think alike! Great tips!!! Bookmarking this one!!!! 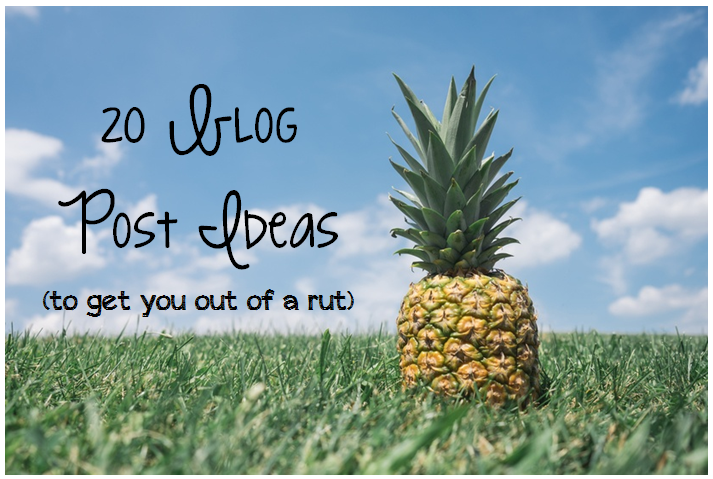 Lovely blog post ideas! These can be a big hel when you lost all your insoiration.